After slightly changing design and safety aspects, the 264series became one of most successful series ever, with the Volvo 264 and Volvo 265 as showpieces. 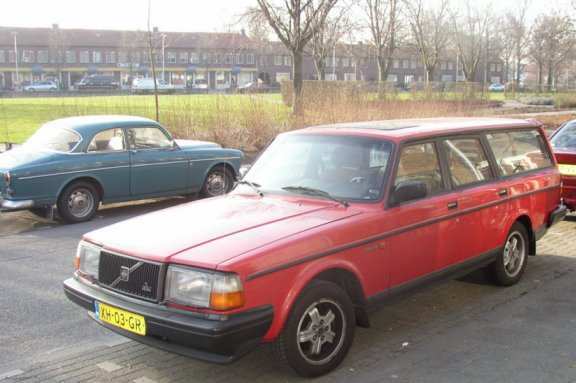 The Volvo 264was the robust sedan version; the 265 was the sturdy and very spacious station wagon. Still today, you see those unmistakeable classic cars with their typical seventyish and eightyish look and feel, in Dutch and Swedish streets. The cars were very spacious and particularly the station version had a big trunk. The 264 models, were available for more than 15 years. In 1993, the production of the station wagon or the estate ceased. Scandcar imports and maintains these models In addition, Scandcar organised reproductions of parts, to keep the Volvos 264 that are still on the road, in a good and safe condition.